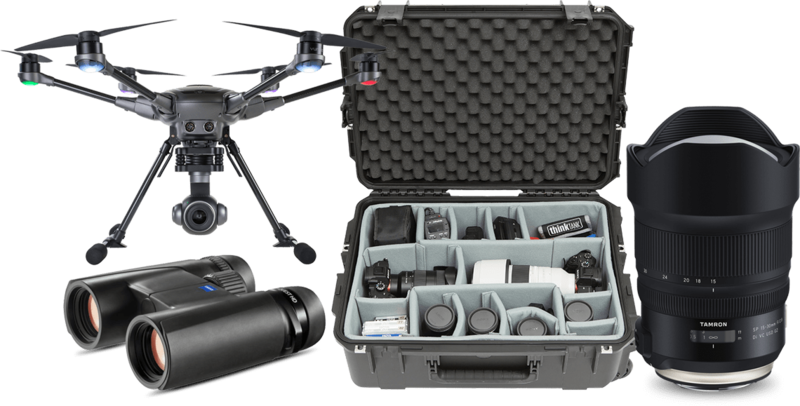 A 15-30mm G2 lens by Tamron, a SKB hard case, a Yuneec Typhoon H Plus Drone, Conquest HD Binoculars by Zeiss, $2,000 cash and so much more! Last year, we had some stunning entries to The American Landscape, and above you can see the top dogs of that bunch. Check out last year’s finalists and winners below, and show us what you have to offer! This year, we have some amazing submissions so far. The contest is far from over, but take a look at some of our featured submissions here! Please note that these are not finalists or winners—those will be announced after the contest ends. The images shared here are some of the great submissions we have received so far. PLUS and VIP members get one free image entry. $25 entry fee for 1 image. $35 entry fee for 2 images. 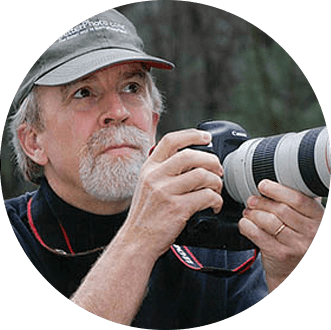 William Neill is a renowned nature and landscape photographer and a recipient of the Sierra Club’s Ansel Adams Award for conservation photography. Neill’s award-winning photography has been widely published in books, magazines, calendars and posters, and his limited-edition prints have been collected and exhibited in museums and galleries nationally, including the Museum of Fine Art Boston, Santa Barbara Museum of Art, The Vernon Collection and The Polaroid Collection. 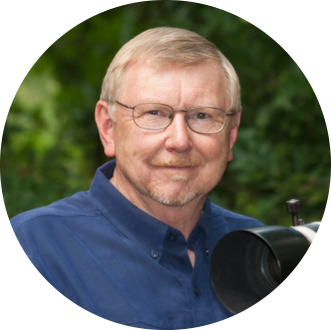 Neill’s published credits include National Geographic, Smithsonian, Natural History, National Wildlife, Conde Nast Traveler, Gentlemen’s Quarterly, Travel and Leisure, Wilderness, Sunset, Sierra and Outside magazines. 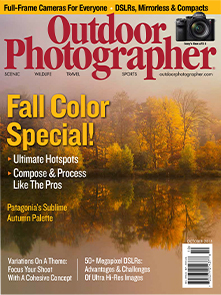 He is also regular contributor to Outdoor Photographer with his column “On Landscape”. Need help perfecting your submission? 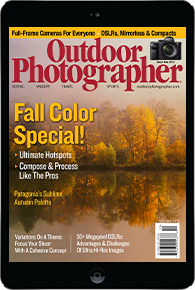 Check out these five guides to improve your landscape photos. You may enter as many photos as you like. Pricing packages are one (1) photo for $25 per single entry, two (2) photos for $35 per two entries. Simply visit the entry page at www.outdoorphotographer.com/photo-contests/the-american-landscape and the system will determine your order status. Sometime between April 24th, 2019 to May 24th, 2019.  The Outdoor Photographer’s American Landscape Contest (“Contest”) is open only to individuals who are over 18 years of age and who are residents of the U.S. Employees of Madavor Media, LLC, (“Sponsors”), and their respective parents, affiliates, subsidiaries, and advertising and promotion agencies, and their immediate family members (spouse, parent, child and sibling and their respective spouses, regardless of where they reside) and/or those living in same household of each, whether or not related, are not eligible to participate or win. Sponsors reserve the right to verify all eligibility requirements. Contest is subject to all applicable federal, state, and local laws and regulations. The Contest will begin on February 1st, 2019 and end on May 10th, 2019 at 11:59 p.m. PT (the “Contest Period”). Please Note: A non-refundable one-time entry fee of $25 per single (1) entry, $35 for two (2) entries is required to submit an entry in this Contest (“Entry Fee”). Click the submit your images button above to pay the non-refundable Entry Fee of $25 per single (1) entry, $35 for two (2) entries, (iii) and complete and submit the online entry form. All entries must be received by April 10th, 2019 at 11:59 p.m. PT to be eligible. Each photograph must be submitted in .JPG and cannot exceed 4 MB in size. Potential winners will be notified by telephone, mail and/or e-mail between April 24th, 2019 to May 24th, 2019, and will be required to execute and return an Affidavit of Eligibility and Liability and, unless prohibited, a Publicity Release, a W-9 Form and any additional documents that may be required by prize provider within fourteen (14) days of date of issuance. If any potential winner is an eligible minor in his or her jurisdiction of residence, prize may, at the Sponsors’ discretion, be awarded in the name of the parent or legal guardian, and such parent or legal guardian will be required to fulfill all requirements imposed on winners set forth herein. Noncompliance with this time period or with these Official Rules, or the return of any prize notification as undeliverable, may result in disqualification and, at the Sponsors’ discretion, the prize will be awarded to an applicable runner-up. One (1) SKB 3i-2215-8 Camera Case; One (1) 15-30mm G2 Tamron Lens; One (1) Zeiss Conquest HD 8×32 Binoculars; One (1) Yuneec Typhoon H Plus Drone; One (1) LOWA Renegade GTX Mid Hiking Boots; One (1) FlatHat 32” Drone Landing Pad (Blue & Yellow); One (1) Hardcover, high quality Bay Photo photo book featuring all finalists; One (1) Exclusive VIP Membership (ARV $99.95); One (1) One-year Zinio Subscription to Outdoor Photographer Magazine (ARV $10.50); Placement as Outdoor Photographer Facebook Cover Photo (ARV priceless); publication in a special multi-spread feature in an issue of Outdoor Photographer (ARV priceless); Publication in the Outdoor Photographer online Winners’ gallery. Second Place Prize: $500 (U$D) cash prize; One (1) 17-35 Tamron Lens; One (1) Zeiss TERRA 8×32 Binoculars; One (1) SKB 3i-2011-7 camera case; One (1) Hardcover, high quality Bay Photo photo book featuring all finalists; One (1) Exclusive VIP Membership (ARV $99.95); One (1) One-year Zinio Subscription to Outdoor Photographer Magazine (ARV $10.50); Publication in a special multi-spread feature in an issue of Outdoor Photographer (ARV priceless); Publication in the Outdoor Photographer online Winners’ gallery. 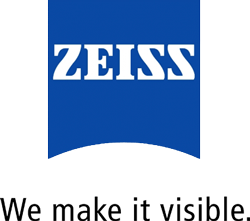 Third Place Prize: $250 (U$D) cash prize; One (1) SKB 3i-1510-6 camera case; One (1) Hardcover, high quality Bay Photo photo book featuring all finalists; One (1) Exclusive VIP Membership (ARV $99.95); One (1) One-year Zinio Subscription to Outdoor Photographer Magazine (ARV $10.50); publication in a special multi-spread feature in an issue of Outdoor Photographer (ARV priceless); Publication in the Outdoor Photographer online Winners’ gallery (ARV priceless). By submitting an entry, entrant grants the Sponsors and their designees an irrevocable, royalty-free, nonexclusive, worldwide perpetual license to use the entry and his/her name, city and state of residence for credit purposes in Sponsors’ online galleries, without further compensation, notification or permission, unless prohibited by law. In addition, each winner grants to the Sponsors and their designees an irrevocable, royalty-free, nonexclusive, worldwide perpetual license to use and distribute the entry (as submitted, or as cropped by the Sponsors), and his/her name, city and state of residence for credit purposes, in any and all media now or hereafter known, including without limitation in Outdoor Photographer, and any Madavor Media magazines for purposes of promotion of this Contest except as otherwise stated herein, without further compensation, notification or permission, unless prohibited by law. 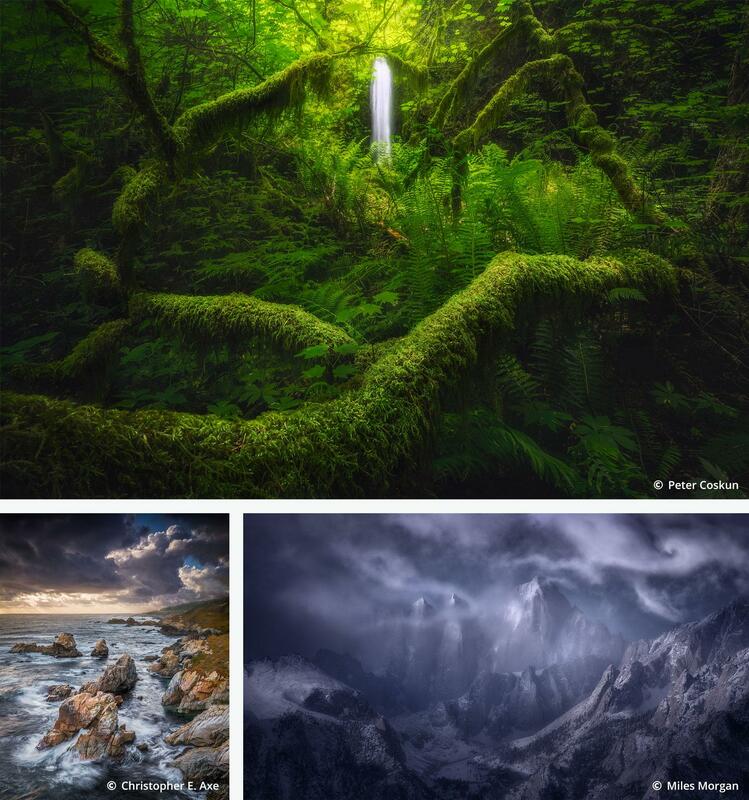 WINNERS’ LIST: For the list of winners (available after April 30, 2019), send a separate, stamped, self-addressed envelope to: OP 2019 The American Landscape Photo Contest Winners’ List, Attn: Marketing Department, 25 Braintree Hill Office Park, Suite 404, Braintree, MA 02184, to be received by May 30, 2019.